New research by University of Notre Dame anthropologist Agustin Fuentes, published recently in the European journal Anthropology Today, states that although Darwin’s basic ideas still form the core of our understandings, recent innovations in evolutionary theory help expand the way we think about evolution. “The social lives of humans, the way we live with other animals and the way we change the world around us all play major roles in making us who we are today,” Fuentes said. Fuentes says melding evolutionary and anthropological theories and perspectives provides important insight into the way human behavior has evolved over time. He uses examples of humans and other animals, especially dogs, to discuss how these new perspectives help us better understand the processes by which our cultures, bodies and ecologies change over time. The article can be viewed in its entirety at http://www3.interscience.wiley.com/cgi-bin/fulltext/122407658/PDFSTART. 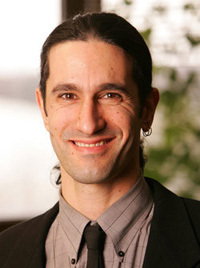 A professor of anthropology, Fuentes has been a member of the Notre Dame faculty since 2002. He is the author of “Evolution of Human Behavior,” which examines how and why humans evolved behaviorally, and “Health, Risk and Adversity,” which provides a unique comparative approach to the analysis of health disparities and human adaptability and specifically focuses on the pathways that lead to unequal health outcomes.